Enjoy a beautiful, healthy, and lasting, smile. Experience a full smile with flawless tooth replacement. and gums with personalized periodontal therapy. Thanks for Visiting Restorative Dental! Dr. Tony Bare and his caring team members want you to feel great about your smile. We work hard to maximize the health of your teeth, gums, and jaw joints. We listen to our patients and work together with them to give them the dental improvements that they are looking for. At Restorative Dental, we provide the latest in dental technology, and we use our experience and resources to do everything we can to meet your unique needs.Here are just a few of the services that Dr. Bare offers at Restorative Dental. Missing teeth? Chipped teeth? Discoloration? Dullness? If you want to strengthen, brighten, and straighten your smile, we have all of the restorative and cosmetic services you may need. We provide sparkling porcelain veneers, undetectable inlays, various whitening options, and complete smile makeovers! You can increase your confidence and comfort with our restorative and cosmetic dentistry treatments. Our dental implant restorations will give you a steady and stable smile. Dental implants will improve the health of your jawbone and give you day-to-day comfort. We provide plenty of tooth replacement options to accompany dental implants, like crowns, bridges, dentures, and more. Come create a realistic smile with our restorative treatment plans at Restorative Dental. 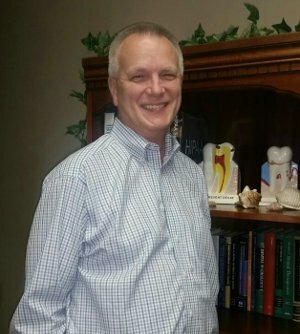 Dr. Bare believes in fast, effective, and advanced perio therapy for periodontal disease. We utilize OralDNA to diagnose your needs with stunning accuracy. OralDNA will precisely identify the type and concentration of the bacteria that needs treatment. We treat our patients with Perio Protect, which consists of wearing a tray of medication at home for just a few minutes each day for rapid results.